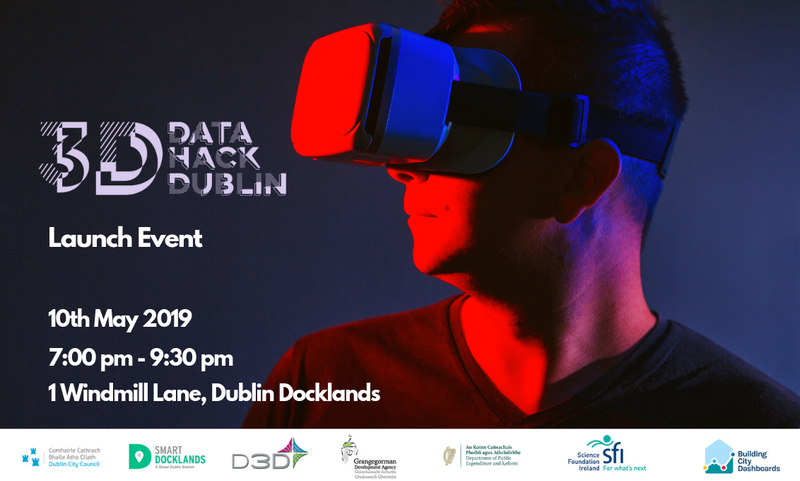 Dublin’s first 3D city data hack takes place from the 10-12 May at 1 Windmill Lane, The Docklands. The Hackathon is being organised by Dublin City Council (via the Smart Docklands Programme) and the Grangegorman Development Agency. Other partners include the Public BIM and the Open Data Unit, the Department of Community and Rural Development and the Science Foundation Ireland (SFI) funded Building City Dashboards Team at the University of Maynooth and D3D.